Should You Franchise? How to Decide. A consultant shares what really matters. I first met John Leonesio shortly after a handful of fanatical terrorists had killed nearly 3,000 innocent people, throwing the nation and the economy into shock. Flags were flying in the streets. But on Wall Street -- and on Main Street -- the economy was flying at half-mast, as the one-two punch that had started with the dotcom bubble bursting was now overshadowed by the fear that these maniacs would strike again. In the immediate aftermath, the Dow Jones Industrial Average plummeted 14.3 percent in a week -- then a record number -- on top of the losses already sustained from the end of the dotcom bubble. Unemployment jumped from 3.9 percent to 6 percent in a matter of months. And fear was everywhere. The sale of gas masks in some quarters jumped 500 percent overnight as anthrax was found in the postal system. Would our malls be next? A sporting event? Related: Two Years Ago, This Ruling Rocked Franchising To Its Core. Now Everything May Change Again. In the face of this market, Leonesio had developed a therapeutic massage concept that was different from those around the country. He called it Massage Envy. And despite people's economic woes, they loved it. In fact, the economic times may have contributed to his success. At the time, fewer than 15 percent of Americans had ever experienced a therapeutic massage, and Leonesio knew a tremendous opportunity existed in the marketplace. Using his decades of experience in the health club industry, he had created a new, membership-based model for marketing spa and therapeutic massage services. He first opened the new concept in a strip mall in suburban Phoenix, and now the business was so successful that he was actually turning away new members. But Leonesio had a dilemma, the same dilemma I have seen dozens of times over the years. People were walking through his newly opened operation with notepads and cameras. And while he tried to keep them out, he knew it wouldn't be long before competition jumped into his market. He could see what would happen next. People would begin knocking off his concept, and if he didn't move fast, someone else would get the financial rewards for the concept he had developed. Leonesio was sitting on a gold mine. His concept, he was sure, could be expanded throughout the country and even internationally. The problem was capital. To take advantage of the market, Leonesio needed tens of millions of dollars. Bankers weren't going to lend him the money. He only had a single unit, his concept was too new and he had limited collateral. He was too small to consider an IPO, of course. Likewise, venture capitalists and private equity investors had no interest in a company his size and would need to see more of a track record. And even if they wanted to invest, Leonesio was unwilling to give up control of the company. In short, Leonesio found himself in precisely the same dilemma that thousands of entrepreneurs are facing today: How do you expand a great business quickly and with minimal capital? His answer: franchising. Fast-forward four years. Leonesio's company had sold more than 720 franchises, of which some 300 were open. And while he now had a half-dozen competitors, he had rapidly dominated the market by moving quickly into franchising. More important, Leonesio was able to do this without bringing in outside capital. He estimates his total cost of expansion at $300,000 -- about the cost of opening a couple more company-owned locations. In May 2008, Leonesio sold Massage Envy for close to $100 million -- a feat that would never have been achievable without the leverage of franchising. Stories like this show just how fast a company can grow using franchising. Today, more and more entrepreneurs are finding that franchising has a number of advantages that make it worth considering. But just because a particular business can be franchised doesn't mean it should be franchised. As a business strategy, franchising is a tool designed to help business owners reach more aggressive expansion goals. If your goals exceed your current grasp, you need to find a way to leverage your business to meet those goals -- or you need to redefine your goals. And often, when aggressive growth goals are involved, franchising is the best answer. Whenever I meet with an entrepreneur interested in franchising, I ask, "Where do you want to be in five years?" Perhaps unsurprisingly, most entrepreneurs have never given any thought to the question before. But to determine which growth strategy is best, I need to understand three things: their personal goals of ownership, the assets (both human and capital) they can devote to achieving those goals and the time frame within which they hope to accomplish them. Armed with that knowledge, the strategy you will choose is often just a matter of plugging in the numbers. "There's an old piece of wisdom floating around the franchising world, and it goes like this: You can't franchise unless you have at least two operating units. Some people will tell you that. But they're wrong. Massage Envy started franchising when it had only a single unit in operation--and today it has more than 1,000 locations." Business owners often tell me they "want to grow as fast as possible without sacrificing quality." But that's just an ownership philosophy. In order to use goals as a foundation for your decision making, they must be concrete, measurable and tied to a specific time frame. I encourage my clients to start by asking "lifestyle" questions. Do you want to still be working in the business in five years? Do you want to sell the business? Are you looking to pass this company on to your heirs? If you are looking to cash out, how much money is "enough" -- not only for the time and effort you will have devoted to developing the business, but for you to move on with the next phase of your life? And if you want to hold on to your business, how much would you like to be earning at a certain point in the future? When you ask yourself how much you want for your business when you sell, it is important that you do not ask how much you think it will be worth. Valuation should not enter this process until later. Instead, ask yourself where you want to be personally. Do you want to retire? If so, do you want to be living on your private island collecting shells? Or would you be happy on a golf course somewhere? Or do you want to open a new business and move on? Once you have painted the picture in your mind of where you want to be, you should ask yourself how much money it will take for you to achieve that goal. Add up the house, the private island, the cars, the retirement fund and whatever other personal goals that require money, and you will have your number. Next, determine where your business is now. How well-defined is the concept? How much money is it currently making, and what is its current value? What are its financial and human resources? How strong is the management team? Is it ready for expansion? Once you have answers to these two variables, you can measure the distance between your current reality and the goal you have set. And that distance, combined with an understanding of your goals, capabilities and time frame, will dictate your strategy. Of course, there is more to making the decision than simply an assessment that other alternatives won't work. You should also have a reasonable belief that franchising offers you a good chance of success. Because, sure, franchising may be the only strategy that will allow you to sell your business for $10 million -- but if your chances of success are one in 10, you may want to rethink your growth goals rather than embarking on such a high-risk strategy. When examining the market into which you are expanding, you should look at the sustainability of demand, differentiation of your concept and existing and potential competitors. If you are going to go head-to-head with entrenched competitors in a mature industry, you will need to get your franchise concept as close to perfect as possible before entering the franchise marketplace. Operations procedures and management techniques should be tight. Store design and marketing materials should be first-rate. Furthermore, a strong track record of successful operation is required. On the other hand, if you have a concept that really is new to the market or has a unique niche, you will need to move quickly to capitalize on it. Your points of difference will rapidly find their way online, so if you play it conservative and wait until everything's just right to franchise, you may find that you're third or fourth -- or worse! -- to franchise your idea. Years ago, I spoke with an entrepreneur who built a small chain of double drive-thru burger locations. He told me the story of how he saw several guys sitting on the hood of their car across the street, watching his business. When he walked over to ask what they were doing, they told him they were admiring his business -- and he proceeded to sit down with them and tell them his life story. Years later, when he finally decided to franchise, he found he was going head-to-head with a more established competitor with hundreds of locations. And it was run by those same guys. Next, let's talk capital. Franchising is a low-cost means of expansion, but it isn't a no-cost means. If you go into a business undercapitalized, you run the risk of taking a nine-foot leap across a 10-foot ditch. In addition to the costs of developing appropriate strategies, manuals, marketing materials and legal documents, you will have costs associated with franchise marketing and franchise sales. If you don't have the capital needed to properly support your franchisees, you increase your risk of franchisee failure, difficult franchisee relationships and litigation. In franchising, there are three ways you can capitalize your initial development efforts. You can have the capital (or access to the capital through lenders or investors) when you begin franchising. You can use the cash flow from your company-owned operations to fund your entry into franchising. Or you can try to finance your franchise efforts out of your initial fees and/or product sales -- although that's considered a "worst practice" in franchising, because it often encourages franchise sales to unqualified candidates. And even if used with constraint, relying on fees to fund cash flow is always dangerous. The costs of becoming a franchisor, of course, can vary considerably based on a number of factors. A more aggressive growth plan, for example, will increase the costs associated with your initial franchise marketing efforts and may require additional training documentation to deal with the influx of franchisees. On the other hand, if you have internal resources who can assist with the development of operations manuals, legal documents, brochure design and the other tools you will need to franchise, you can use these resources to reduce your costs. Since every situation is different, the best strategy is always to get the advice of experts on the costs you may incur and make sure you are adequately capitalized before jumping in. And finally, let's talk about your management skills. Not everyone is well-suited for franchising. Some business owners find it difficult to deal with franchisees; as independent business owners, they require a different management style than you might use with corporate employees. If, for example, you tend to have an autocratic management style, you may find franchisees difficult to manage. Franchisees are not employees, and if you treat them as if they are, conflict is sure to follow. Successful franchisors know how to motivate and lead their franchisees, and they enjoy the day-to-day interactions with them. This leadership requires that franchisors establish a high degree of credibility with their franchisees. That does not come easily, and not every successful entrepreneur is capable of or willing to devote energy toward this important task. One of the most critical things to remember when making the decision to franchise is that you are creating a new business -- not simply an extension of your existing business. Regardless of the business you first founded, you need to understand that franchising is the business of selling and servicing franchisees. And your first and most important priority in that business must be to make your franchisees successful. There's an old piece of wisdom floating around the franchising world, and it goes like this: You can't franchise unless you have at least two operating units. As you explore franchising, some people may tell you that. But they're wrong. Of course, opening a second location does have a number of advantages. It will allow you to test different aspects of the business, demographics and types of sites. It will improve cash flow. It will increase credibility. And two units are almost always better than one. And three are almost always better than two. Five are better than three, and so on. But is there a magic number? No. In fact, Massage Envy started franchising when it had only a single unit in operation -- and today it has more than 1,000 locations. Here's what's going on: Just like all other questions about business, this one can't be answered in a vacuum. Saying that opening more company-owned units is empirically the better decision fails to account for issues of competition, timing and focus. While having more operating locations may increase your credibility, the impact on your close rates -- that is, the percentage of franchise prospects that will actually buy your franchise -- will likely be relatively small. If the average close rate on franchise leads is about 2 percent, this increase in credibility might bump the close rate up to 2.2 percent. When you consider that a franchisor looking to sell 12 franchises a year needs to generate about 600 leads to achieve that goal, that incremental increase would be responsible for about one additional franchise sale in the first year. Alternatively, it would allow you to decrease your franchise marketing budget by about 10 percent -- saving about $9,600 in today's market. Measure that savings against the cost of starting your franchise efforts a year earlier, and the financial choice swings in favor of franchising sooner. This is especially true when considering where each of these choices will take the entrepreneur in year two. The entrepreneur who spent a year opening his second location would have two operating locations and could now offer franchises with the expectations of a 2.2 percent close rate. In contrast, the entrepreneur who spent a year franchising with a lower, 2 percent close rate would have one corporate location but perhaps 10 franchise locations -- allowing her an even higher close rate, more publicity and a faster jump on competitors. And this does not even account for the possibility that a second unit could end up being a distraction, underperform or allow a competitor to gain a "first mover" advantage in your industry or in the market(s) you wish to develop. We have often seen people delay the decision to franchise because they have an opportunity to capitalize on a particular site or for some other reason of convenience. But again, the question they should ask is whether the resources spent on a second operating location are going to ultimately provide the best incremental returns or allow them to pursue their best alternative strategy. That said, there are certainly times when opening a second or third unit is the best strategy. In some instances, an entrepreneur might need to test different types of locations or refine different aspects of the business. This is particularly true if the first location is not considered a reasonable prototype for the business format or location that would ultimately be offered to franchisees. If the first unit is not providing adequate returns to franchise, a company should not use it as the model for franchise operations and must refine it first. But when looking at the question objectively, if franchising is your chosen expansion strategy, starting sooner will often have incremental long-term benefits. And once you have chosen that strategy, you may be faced with another magic-number question: Is there a certain number of franchises a company has to sell to make franchising worthwhile? There is no magic number, but here's my usual answer: "One." The reason for this is leverage. While no one adopts a franchise strategy to sell a single franchise, imagine that is all you sold and ask yourself: Would you go out and rent additional office space? Would you hire a franchise sales team? Would you hire a full-time field support staff? Would you continue to work with lawyers to keep your legal documents current (despite the fact that you would not need to)? Would you continue to hire consultants to help you grow? In fact, would you commit to any incremental costs? Chances are you answered "no" to all of the above. Why? Because you could service your single franchisee very simply using your existing time, effort and staff. You can see that if a franchisor keeps its expenses in check, it can be profitable and recapture its initial investment by selling a single franchise. Its only incremental expense will be the sweat equity it invests in the franchise program. The key to maintaining your profitability as a franchisor thus becomes the development of a franchise plan that allows you to leverage your existing resources as you sell new franchises, so the need for hiring is eliminated or minimized until franchise royalties provide enough coverage to begin hiring. "For many companies, the combination of franchising and company-owned growth provides the best of both worlds. From a purely financial standpoint, it is almost impossible to beat." Once an entrepreneur decides to franchise, they sometimes wonder if they can open more company-owned units. The answer: Yes, absolutely. And depending on the company, that may be a valuable strategy. The vast majority of franchisors use both company-owned and franchise strategies in combination. Some franchisors will choose to own and operate the best locations or markets while franchising secondary and tertiary markets. Others will choose to develop a company-owned presence in their core marketplace and franchise in more distant markets. And some treat company growth and franchise growth opportunistically and end up with many markets that have both franchise and company-owned locations. Regardless of the strategy taken to integrate these two growth models, for many companies, the combination of franchising and company-owned growth provides the best of both worlds. From a purely financial standpoint, it is almost impossible to beat. The excess cash produced by your successful franchise operations can fuel increased franchise growth, but at a certain point, the cash used for franchise lead generation will outstrip your opportunities to spend it wisely on franchise marketing. Reinvesting in corporate locations can improve your cash flow and build your balance sheet. Moreover, opening corporate locations in unpenetrated geographic markets can help build the brand and spur franchise sales interest in advance of your franchise marketing efforts. And if you are thinking of selling franchises that would differ from your current model (e.g., offering franchises in malls, strip centers, different demographic markets, etc., when you have not done so in the past), you do not want your franchisees to act as your guinea pig. To paraphrase Shakespeare, the answer to whether franchising is the right strategy lies not in the stars, but in ourselves. It's a big decision. While you can create the documents you will need to legally franchise for less than $50,000, for most franchisors, a budget of $100,000 or more is more realistic. And if you are looking for an aggressive franchise launch, you can plan on spending $200,000 or more. So this is not a decision you will or should make overnight. Think hard about what it means for your business, and for you. Do I need to franchise to achieve my personal goals? What is happening in my marketplace? Will I be committed to the success of my franchisees? Do I have adequate resources? Do I have the intestinal fortitude to do franchising right -- even if it means not selling a franchise to someone I believe will fail or will not meet brand standards? Do I have the fire in the belly to make this happen? The ultimate answer to whether or when you should franchise cannot be found in any magazine, nor can it be provided by a consultant, an accountant or an attorney. It doesn't matter if the market is ready, or if the concept is ready. The answer to this big question can be found only within yourself. So it's time to ask: Are you ready? 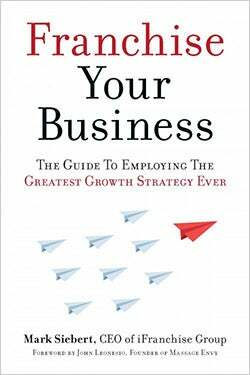 Excerpted from Franchise Your Business: The Guide to Employing the Greatest Growth Strategy Ever. Published by Entrepreneur Press (C) 2016. Visit entm.ag/franchiseyourbusiness.